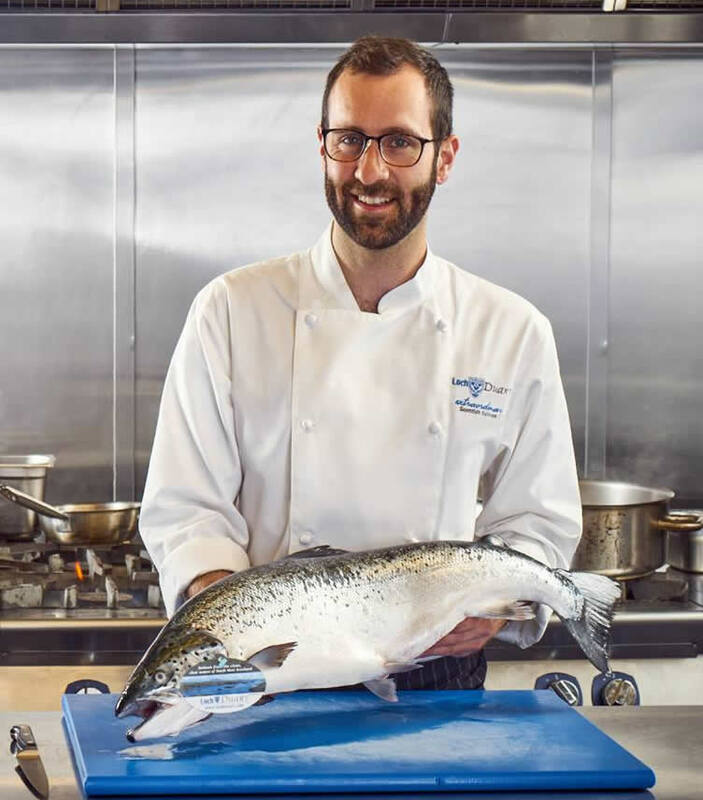 Patrick’s role at Loch Duart bridges the gap between sales and the culinary community, with his extensive experience as a chef supporting the marketing of Loch Duart’s extraordinary tasting Scottish salmon. The Food Ambassador role is a first in the Scottish salmon farming industry, and possibly the Scottish seafood sector. Originally from Devon, Patrick is now based in Edinburgh and has worked as a chef across the UK and Europe. By bringing his chef’s experience to the company, Patrick adds to Loch Duart’s already strong connection with chefs and cooks across Scotland, the UK and worldwide. Patrick is well versed in all aspects of farming including salmon husbandry, taking sea bed samples and has joined our fish biologist teams in conducting fish health checks and flesh quality checks. Patrick also has an educational role within Loch Duart, conducting tastings and cooking demonstrations. This is a chance to discuss with the farming staff the impacts of Loch Duart’s unique farming methodology on the taste and eating qualities of its salmon. Patrick is active on our twitter feed @LochDuartSalmon and his Facebook channel @ChefPatrickEvans so please follow us for recipes and other interesting developments!